The No. 33 Porsche Cayman of C.J. Wilson Racing. Major League pitcher C.J. Wilson has never been one to wake up in the middle of the night, glance over at the Little Ben clock on the night table and worry what his post-pro jock life would be like. It would not play out in an office or as a hair-do television analyst. Wilson’s future, the Los Angeles Angels of Anaheim starter knew, was determined years ago. It would be all about making race cars go fast. Wilson will continue to jump start his post-balling future this week when he enters his C.J. Wilson Racing No. 33 Porsche GT4 Cayman in the Continental Tire Sportscar Challenge’s GS Class at the Rolex 24 weekend at Daytona International Speedway. Behind the wheel of the CJWR Cayman will be veteran Marc Miller and team new guy, Canadian Daniel Burkett. Wilson will be they guy calling the shots with the little kid-grin on his face as he paces the DIS paddocks. Major League Baseball pitcher C.J. Wilson’s season begins in earnest this week. But at Daytona International Speedway’s infield road course, not on a baseball diamond. Wilson owns an up-and-coming team in the Continental Tire Sportscar Challenge Series. The hip-shooters should be advised that Wilson, who has been making his living with a 93 mph four-seam fastball and 90 mph cutter as an Angel and the Texas Rangers before that, should not be classified with those stick-and-ball dudes who think that, hey, when their playing days are done it might be fun to slide behind a wheel. 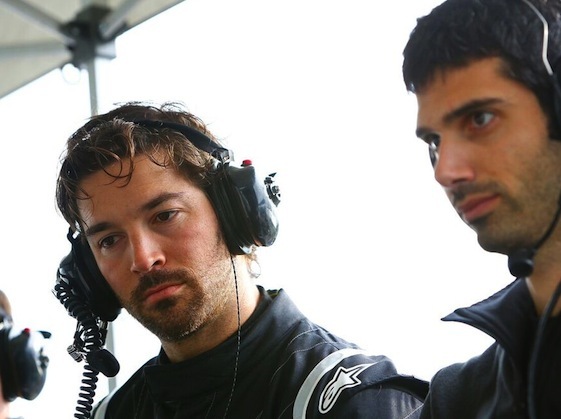 Racing, not baseball, said Wilson – whose team captured 2015 ST championship with the No. 3 Mazda MX-5 of Chad McCumbee/Stevan McAleer), winning at Watkins Glen and Lime Rock. – was his first love as an athlete. On the walls of his childhood bedroom were reminders of his two loves. Reminders which also served as blueprints for his grand plan. The plan also had a human-form blue print in the person of Roger Penske. Penske started as a top-notch sports car driver and from there moved into the roles of both team owners and business tycoon. Wilson wants to follow the blue print closely, leaving out very few details. Right down to owning dealerships – Wilson owns a Mazda dealership in Illinois and also has a couple of motorcycle dealerships. The goal is to add more. The sports car driving part of the plan has been put on hold. His baseball team owners have insisted upon that. Wilson is coming off a decent but incomplete 2015 baseball season. Last season, Wilson started 21 games, threw 132 innings, and recorded a 3.89 ERA before opting for surgery on his elbow in August. He dealt with bone spurs and four times had fluid drained from the elbow before being placed on the disabled list. Media reports in recent days say several teams have approached the Angels about acquiring Wilson but as of now, none have been sweet enough to induce a deal. Wilson’s mid-30s age has to be considered to insert him into twilight years of his career discussions. But Wilson said that he does not consider himself to be nearing the end of the line as a baseball player. Instead, he sees himself as nearing the beginning of the line as an auto racing team owner and driver. 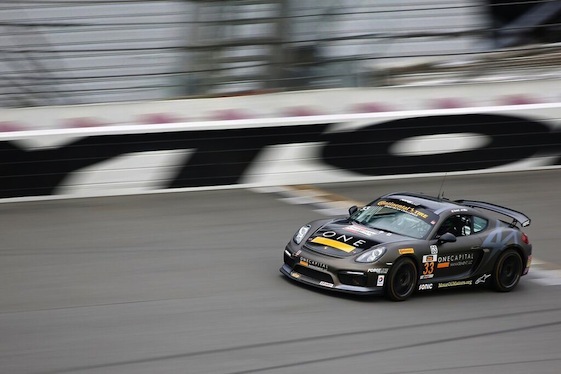 The Continental Tire SportsCar Challenge series has races a total of 78,188 miles at Daytona over the last five years. That’s three times around the Earth’s equator (24,860 miles).